Discovering splendor in Lapland, Sweden. All photography is the property of Null & Full. Unauthorized use is prohibited. I am honored to introduce my guest travel writer Agata Mleczko, founder and editor of Null&Full.com, a travel blog that features off-the-beaten-track destinations. She currently calls Poland home but has lived in Italy for more than six years and has traveled to more than 20 countries including her most recent visit to New Zealand. She enjoys reading travel books, jogging, trekking and cooking. Be sure to follow her on Twitter @nullnfull and Facebook too. Without further ado, I bring to you Agata's journey of discovery to Lapland, Sweden. Although I live so close to all of the Scandinavian countries, it took me a long time to visit the first of them: Sweden. It’s just across the Baltic Sea, not too far away really, but it seems that the closer the destination, the harder to visit and appreciate, right? Well, this was the case with me. I went to Sweden for the first time just couple of years ago but since then, I visit this country every year. Do you want to know why? Lapland. Endless horizon and pure beauty—Lapland. 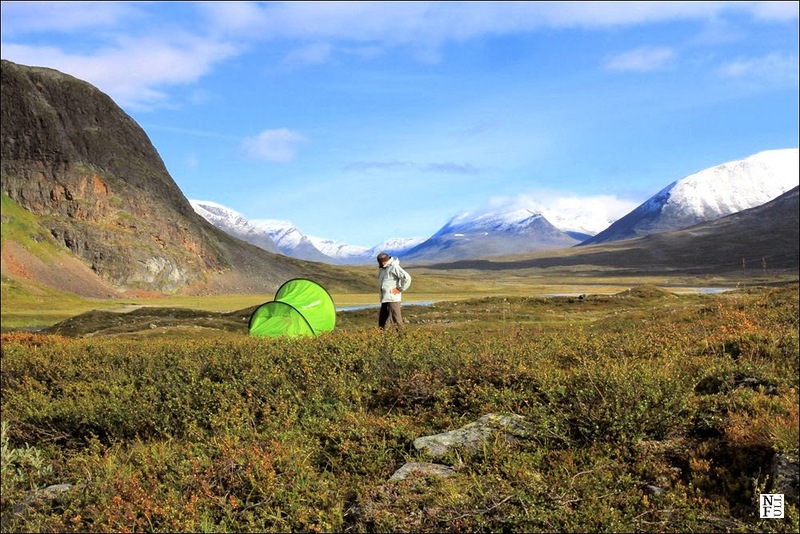 Before I visited other Scandinavian countries, let me tell you about my very first adventure in the far north. This is one of the stories that starts at some point and ends – quite unexpectedly- somewhere else. So, it all started with Alaska. I wanted to go there pretty badly so when the time came to decide the holiday destination, I was quite determined to cross literally half of the world to go to Alaska. The only reason that stopped me was very limited holiday time due to the teaching duties at the university. I discovered I would need to come back to Europe on the very last flight of the year. Because there were three or four months with no flights available, needless to say, I was scared. "What if the last plane will not fly due to the difficult weather conditions?" I thought to myself. And decided I need to find an alternative. 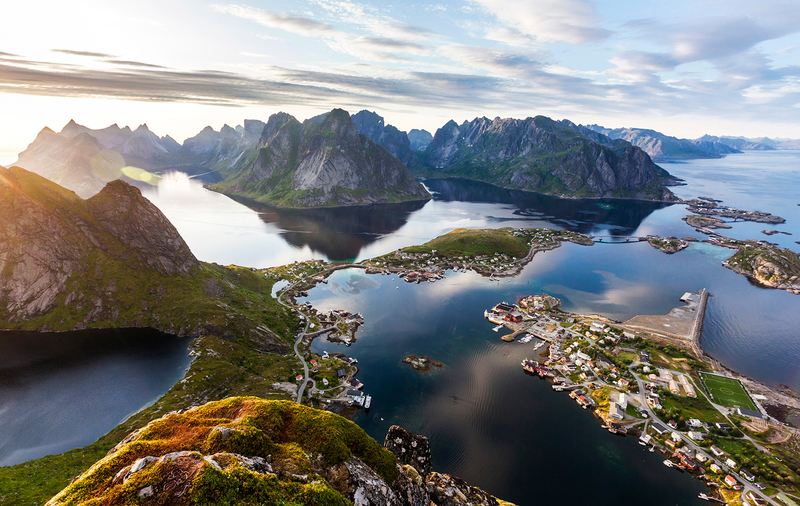 Lapland—a land of endless tundra, wild animals and a homeland of reindeer. While browsing some magazines on the plane, one article caught my attention. 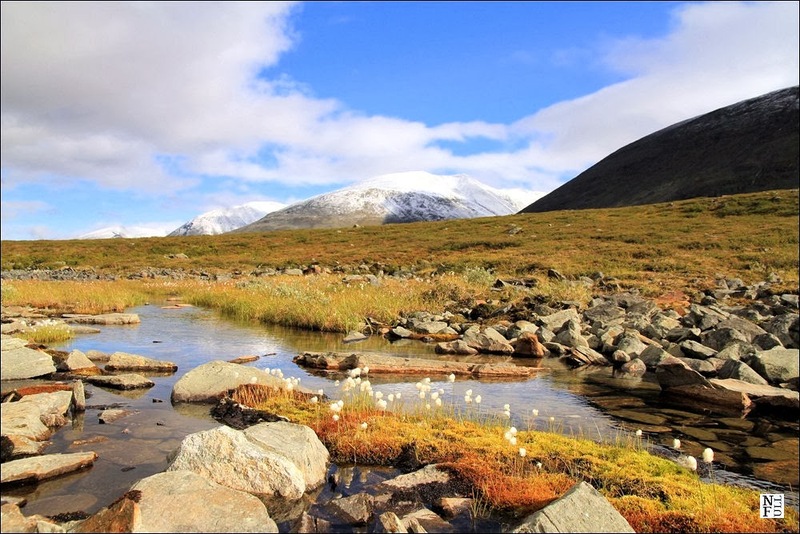 Lapland was described as the land of endless tundra, wild animals and a homeland of reindeer. That was something that I always wanted to do—to see wild reindeer. I made up my mind in a minute and instead of Alaska I traveled to Lapland. The itinerary was quite complex: flight from Venice to Stockholm; night train from Stockholm to Kiruna; and finally a local bus to Nikkaluokta. Just 24 hours after leaving my home in Italy, there I was, at the starting point of Kungsleden (King’s Trail), walking with my heavy backpack, soaked, tired, but very, very happy. 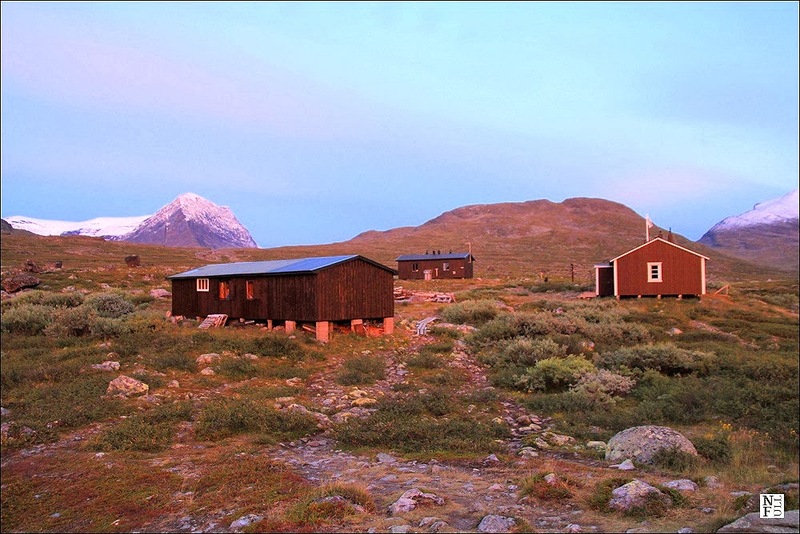 Singi Mountain Hut – King’s Trail - Crossing The Arctic Circle. It was the first time in my life when I crossed the Arctic Circle and I was thrilled! 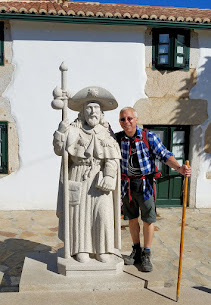 During those eight days in September, I walked almost 110 km on foot with my backpack and all of my belongings, and proud of it! Lapland welcomed me with awesome weather, nice people, perfectly organized timetable of public transportation, and – most of all – remote and wild terrain I hoped for. Swedish wooden house in Nikkaluokta. The first thing I discovered in Lapland was the impeccable cleanliness and punctuality of its transportation system (the train station in Stockholm was not very clean, to be honest). 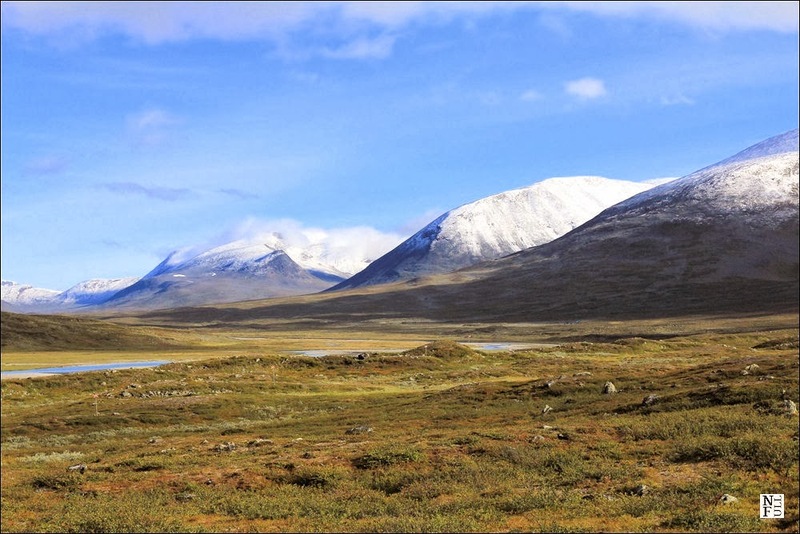 But it was the vast panorama and silence of the Swedish Lapland that left me awe-struck, like a fairy-tale! I could walk for kilometers meeting no one (apart from a reindeer or two, of course). Simple and very efficient mountain huts provided everything I needed: a safe place to sleep, warmth, kitchen facilities and even a sauna. It was just perfect. And so, instead of Alaska, I travel to Lapland to rest, log out of the cyber world, listen to the real silence, hear my own heartbeat, and most importantly, maintain balance between work and leisure. Remember, we need only the most basic of things to enjoy life endlessly. Get wonderfully lost in this immense landscape. I'd be thrilled to see any part of Sweden (my ancestors on my mother's side come from there), but Lapland would be especially amazing. Gorgeous landscapes and peacefulness. Funny how things turn out sometimes, isn't it? Perhaps you'll still make it to Alaska, too! Thanks for the reminder about needing "only the most basic of things to enjoy life endlessly." So true. Thank you Catherine. I wish you went to Lapland, then. I think you would love it. Especially if you're OK with basic stuff. Keeping my fingers crossed! Looks like a trip that I would absolutely love. I crossed the Arctic Circle on foot this past summer as well but it was a lot more rocky and desolate in Canada's high Arctic. 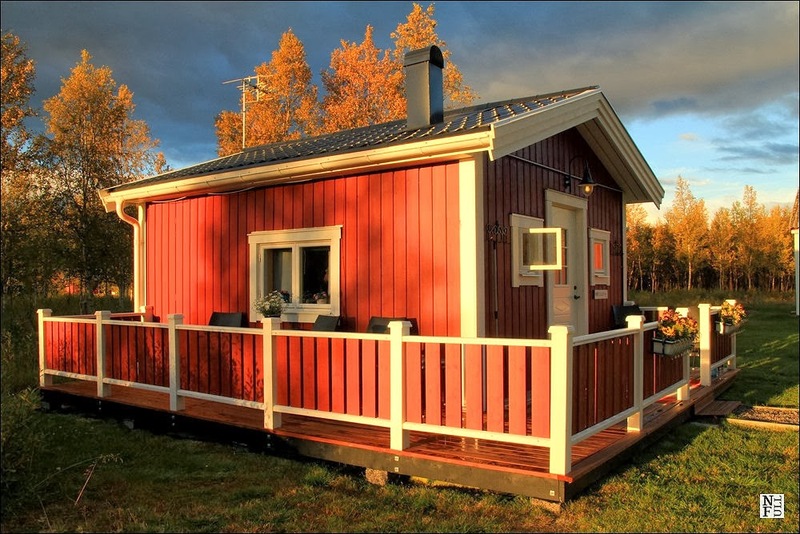 Lapland looks beautiful and all those huts is a real bonus. Great photos too. I think we're so lucky in Europe because northern territories of Scandinavia are so close to both: the North Pole and civilization. Easily reachable and so wild at the same time! Beautiful landscape and wide open spaces. It'd be great to see reindeer too! I can just imagine the sense of accomplishment you felt when you crossed the Arctic Circle. Gosh, I regret I didn't share a photo of a reindeer here. I have so many of them! Amazing creatures! Look like you had a great hike there. Lovely landscape! Indeed. These are one of the oldest mountains I have ever been to. It makes a very powerful impression. So excited! Agata & I are in the planning stages of a Lapland trip for Winter 2015. We both love the Far North & the outdoors, but Agata is the adventure sport one & I'm more the "ooh look at this", must photograph everything one :-) It's going to be an interesting trip! Susan, I simply can't wait of our epic journey next year! This will be totally cool experience, I assure you! I went to Lapland a few years ago (it was Finnish Lapland) and I absolutely loved it. I went during winter time but your gorgeous photos for sure make me want to go as well for a hiking trip in summer time. Great post. I totally understand your delight. I always wanted to visit Lapland in winter and it looks like I'll be able to pursue this dream in two months. So excited! Lapland looks lovely! I have been to Stockholm but nowhere else in Sweden and have been wanting to return and visit more of the country. Would love to be able to say that I had crossed the Arctic Circle! It is thrilling, isn't it? And in Europe is so close to civilization! Stockholm is not my favorite city, I must admit but since I started learning Swedish it might change. Thank you Mike! I appreciate it. I really hope you'll like some of my photo galleries and other adventures. 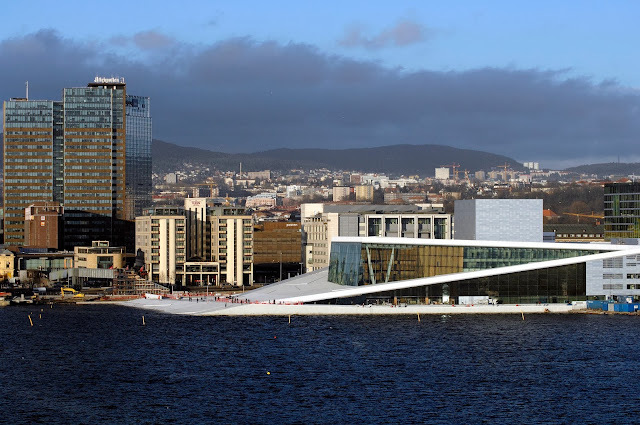 There is a separate category on my blog called Scandinavia and you're very welcome to have a look. Next year I'm going to visit Lapland in the middle of winter with my blogger fellow - Susan. This will include e-diary, lots of clips and tweets, etc. I hope you'll follow our journey! Wow! Looks like a beautiful campground!. Thanks for sharing good information ! Wow! So beautiful there. I love camping but I usually go by the beach, however we have been talking about going closer to a national forest next time. mi think you've convinced me. That place looks amazing!! Hi there Jean Michel! I agree wholeheartedly! It sure does look amazing. My guest blogger who posted this article was fortunate enough to experience this firsthand, now it's our turn! Thanks so much for stopping and sharing your thoughts!